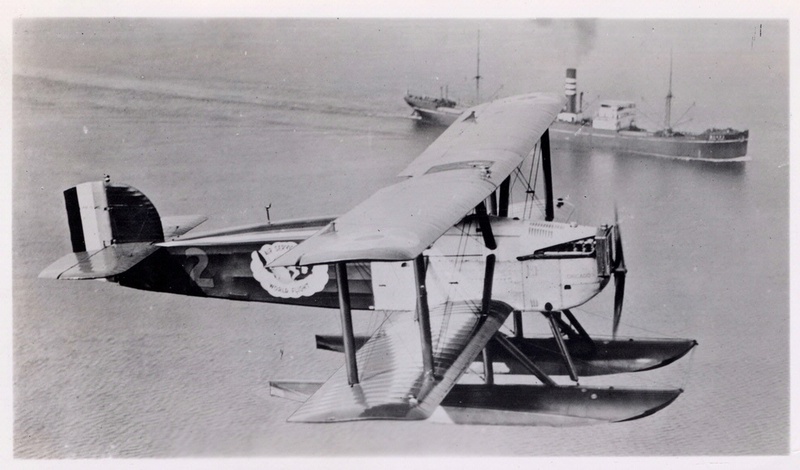 The Chicago in its seaplane configuration. Twin floats enabled the World Cruisers to fly where there were no airfields. National Air and Space Museum, Smithsonian Institution (SI 88-7415).